Check into your hotel. The rest of the day is free for you to start exploring the Greek capital. A day to relax and do just as you please. For instance, join an optional day cruise to the islands of Aegina, Hydra, and Poros. In the evening, free time to enjoy the lively atmosphere of the tavernas and nightclubs in the old Plaka district with its narrow streets and sound of bouzouki music. 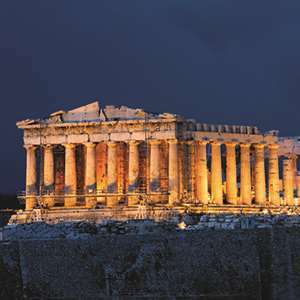 Join the included guided tour of Athens, featuring the highlights of this ancient capital and a visit to the ACROPOLIS. Cross the CORINTH CANAL, a project conceived since ancient Greece but only completed in 1882, then head for the coast to Nauplia. This morning, stop in EPIDAURUS. Visit the OPEN-AIR-THEATER, which can still seat 14,000 spectators, then enjoy the included guided excursion to the ARCHAEOLOGICAL SITE and MUSEUM OF MYCENAE, a city fortress cursed by the gods but rich in gold and warrior kings. Travel into the Peloponnese to Sparta. Enjoy the included sightseeing of the medieval BYZANTINE CITADEL OF MYSTRA, at one time known as the “Florence of the East.” Stop to visit an OLIVE OIL MUSEUM, then continue to Olympia. Explore Olympia, where the athletes of antiquity performed in honor of the king of deities. Spend free time in this pretty town, or learn more about the history of the Olympic Games on the optional sightseeing tour. 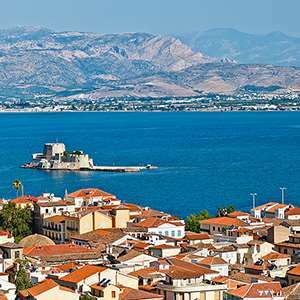 Later, drive north toward Patras, the capital of the Peloponnese and the west coast’s largest port. Then, head through picturesque fishing villages along the south coast of the mainland to mystical Delphi, crossing the spectacular RION-ANTIRION BRIDGE. 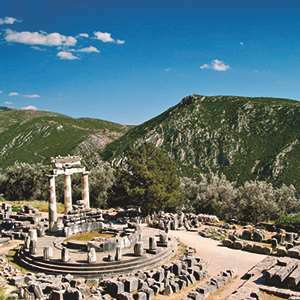 Enjoy free time in town or optional morning sightseeing of the archaeological site of Delphi. On to Kalambaka. Discover Meteora, a cluster of Christian-Orthodox MONASTIC BUILDINGS perched in an unforgettable manner on a set of rising rock formations. Your included visit is certainly the day’s highlight. Continue south to Athens. Spend a full day at leisure to explore the unseen parts of the city, or join an optional excursion. 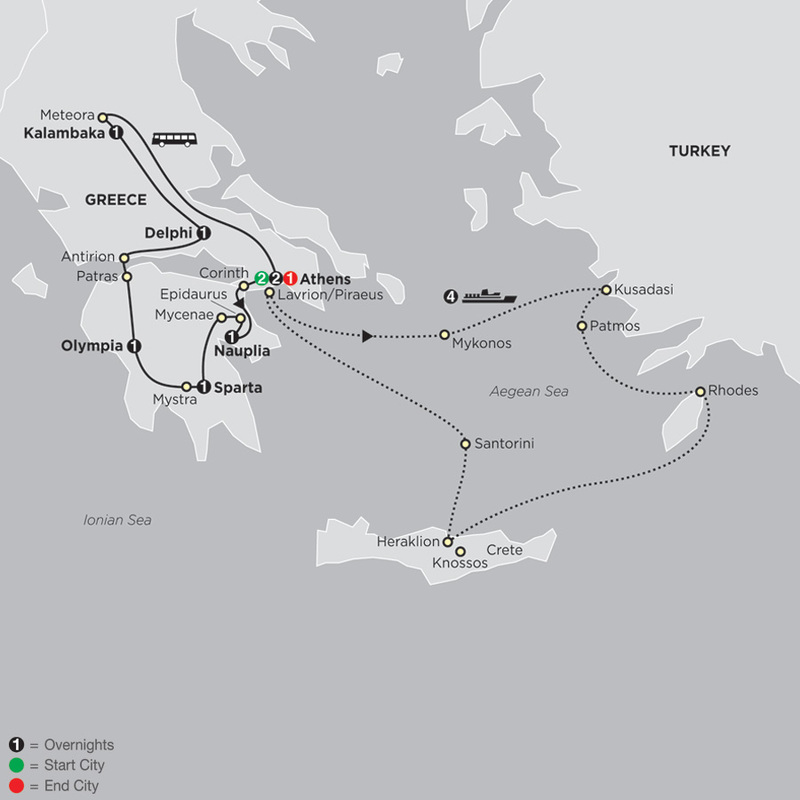 Today includes an early morning embarkation and an afternoon spent cruising in the Aegean. Arrive this evening in Mykonos, a granite island and the most typical of the Cyclades. Its white and blue houses, windmills, and chapels seem to make the island’s light even more translucent. Spend some time visiting a taverna or just wandering around the town, enjoying its timeless beauty. Two ports of call await today. First, Kusadasi on the Turkish coast for an included morning excursion to the fascinating Greek, Roman, and Byzantine excavations of Ephesus. Next, discover the tiny Greek island of Patmos, where St. John the Divine wrote Revelation. The 11th-century monastery with its valuable manuscript collection is well worth a visit. Dock in Rhodes, largest of the Dodecanese Islands and site of the Colossus of Rhodes, a 105-foot statue destroyed by an earthquake in 224 BC. Explore the sites in the historic Old City with its ramparts and palaces built by the Knights of St. John during the Crusades. Another possibility: join an optional excursion to Lindos and the fabulous Temple of Athena. And if sightseeing is not your preference, Rhodes’ sun-drenched beaches and colorful shopping districts are within easy walking distance of the port. Depart from Rhodes around dinner time. Spend the morning at Heraklion on the island of Crete. A few miles away is Knossos, the center of the 3000 BC Minoan civilization; an optional excursion can be booked. 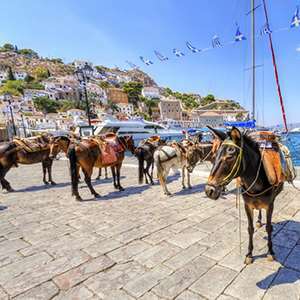 Next port of call (weather permitting) is Santorini, the “Black Pearl of the Aegean.” The included shore excursion here takes you up to the cliff-top village of Oia for one of the world’s most breathtaking panoramas. Early morning arrival in Lavrion/Piraeus; drive to Athens. Time to relax, visit a museum, or to do some last-minute shopping. 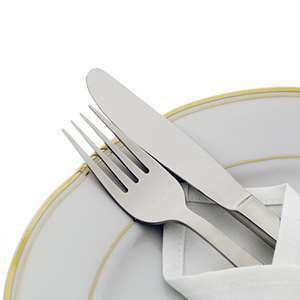 Visit three Greek islands and enjoy lunch on board your modern cruise ship. Late afternoon take a small caique to the little island of Bourtzi with free time to explore. Then sail back to Nauplion to enjoy a dinner in a typical small Greek restaurant in the old part of town. Enjoy dinner and drinks at a traditional Delphi restaurant, with lovely views of the surrounding olive tree-dotted valley. 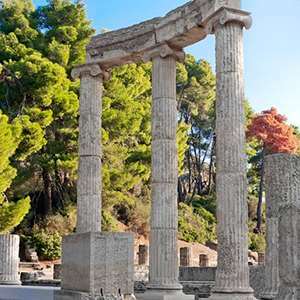 Experience the magic of Delphi, home to Apollo's famous Oracle, as you visit the Delphi Archaeological Site and its impressive museum.